Make Your Own Cocktail Sauce! 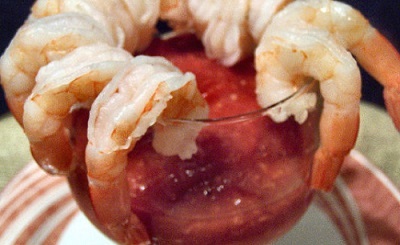 With a great Cocktail Sauce Recipe, cooked and peeled shrimp, crab cocktails, and other seafood dishes really come to life and are favorite items at the restaurant. This cocktail sauce is also very good with a number of other dishes. Over the years we've tried a lot of different store brands but we have always come back to is this delicious cocktail sauce. It is not only delicious but it is easy to make. It has the right tang for most peoples' taste. 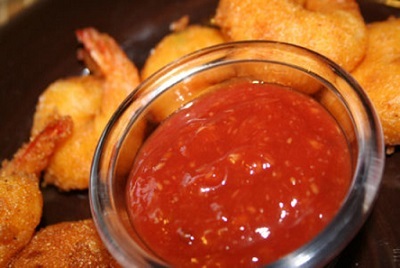 It has just the right amount of horseradish and the combination of ketchup and chili sauce is perfect. Preparation time: 15 minutes. Makes about 2 cups. 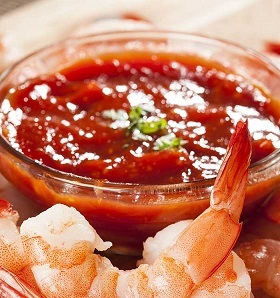 This sauce is excellent as a dip with shrimp, crab, oysters, barbecued pork and many other items. To access a list of really wonderful seafood recipes you can use this cocktail sauce with, just click on Seafood Recipes and enjoy! Enjoy your basic cocktail sauce and the company of those you share it with! Did you know? Condiments are food substances that are added to foods to improve or heighten their natural flavor. The term 'seasoning' is usually used for items added during cooking, and 'condiment' usually refers to those flavorings added at the table.